During a recent assignment we noticed patterns in end user demand that showed a strong deviation from what we normally see. For us this usually is a reason to dive in a little deeper, to see what's going on. Let me show -and explain- you what we reported to our customer. If this is the first time you are looking at an analysis result like this, I can imagine that you do not notice anything strange at first hand. 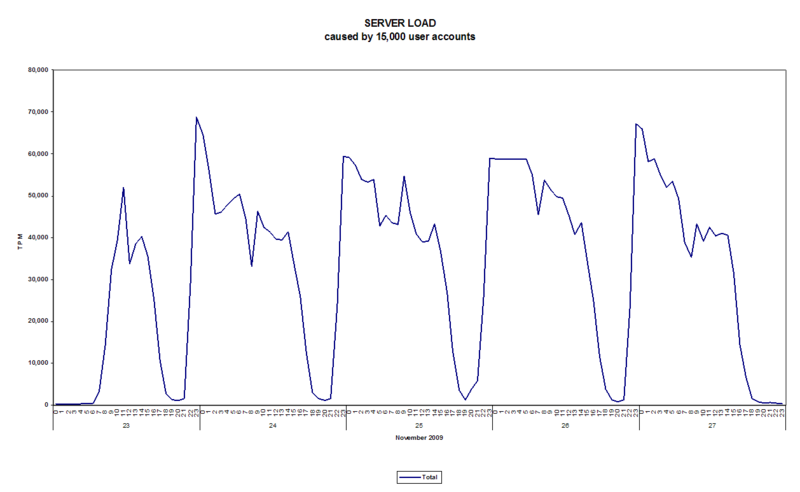 We see 5 working days (and each of the 7,220 minutes) in a week of November 2009, with load levels expressed vertically. 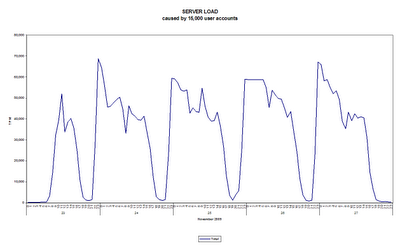 The blue line represents a typical load pattern one might expect from normal end user behavior. Almost 15,000 people who are coming into the office at 8-9am. have lunch at about 12 and go back home for dinner (or other activities) at about 17-18pm. 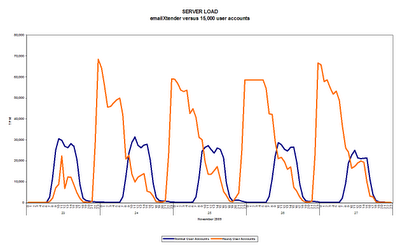 Notice how the purple line shows demand levels that exceed those caused by the 15,000 end users by more than 150%. 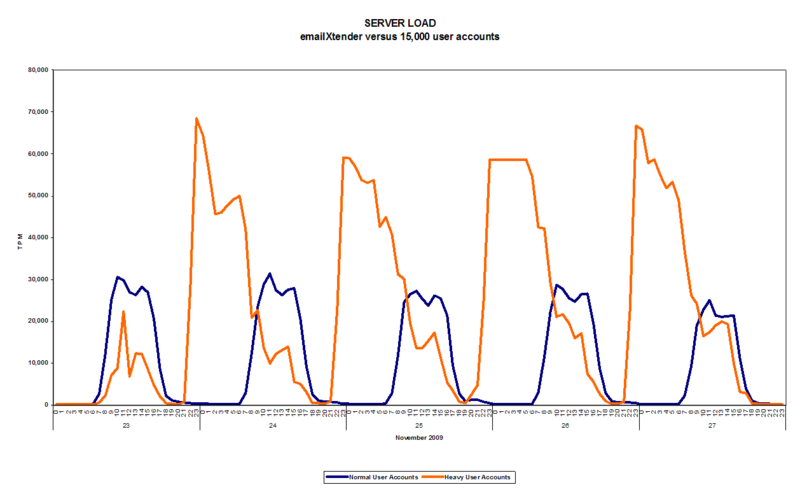 The purple line is in fact a single user account that carries the name emailxtender, which -according to their website- has been renamed into EMC SourceOne. Interesting enough, a deeper dive into this SourceOne solution on the EMC website gave me access to their 'Benefits Calculator'. I could not resist registering and trying out their Benefits Calculator with the statistics we have for our customer. I'll spare you the details (shown in their report here), except for the fact that it claims to save this organization "$2,871,400 in total saving over the next three years".